Not called artificial diamond imitations - Hwatien Enterprise CO.,LTD. In addition to synthetic diamonds preservation, but also because artificial diamond shining, and people loved. However, if that diamond because of rare and preservation, many studies point out all the supply of imitation diamond manipulated by a large group to protect its high price, not really because of the rare and valuable. Now the true quality synthetic diamonds began comparable natural diamonds, theoretically unlimited supply of diamond prices may impact. These conventional synthetic diamonds really called synthetic diamonds (Synthetic Diamond). But the term artificial diamond gives a negative feeling, feeling like a fake diamonds or imitation diamond, rather than a real diamond. For example, it refers to genuine silk silk woven silk, expensive; and it refers to the rayon spun refers to man-made fibers, not silk. 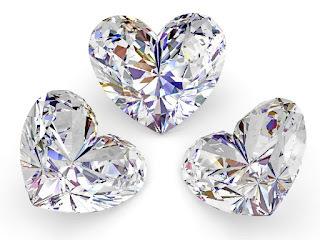 So, to say the artificial diamonds, giving the impression it is not a real diamond, but low-cost simulation diamonds.In view of this, and now artificial diamond manufacturer, then these are not man-made genuine diamonds called artificial diamond, called the lab to cultivate Diamond (Lab Grown Diamond). This is called with the pearl farms of cultured pearls known as cultured pearls, cultured pearls imply still true pearls, not fake or artificial imitation pearl beads, pearl not just grow out of the natural, but trained through artificial breeding methods only.Laboratory cultivated diamonds are 100% real diamonds, regardless of chemical composition, color, hardness, refractive index, etc., with no natural mined diamonds, respectively. Natural diamonds are always flawed, larger pieces of diamond, the more blemishes often. But diamond imitations but in a controlled environment for the growth of chemically deposited, can achieve zero defect, so that every man-made diamonds are flawless, even more beautiful than natural diamonds.Synthetic diamonds with natural diamonds is better, only allow consumers to decide.